Be an amazing teacher, share your ideas. Tradfri Hacking to LEDify an existing halogen floor lamp. The (REAL) RSI free mouse! V2X == V2V | V2I but what about V2P, an open source feasibility study. When you get the same piece of hardware together with more than a thousand co-workers, there is room for a nice prank. I work at Altran, and everyone was entitled to get a nice word clock. 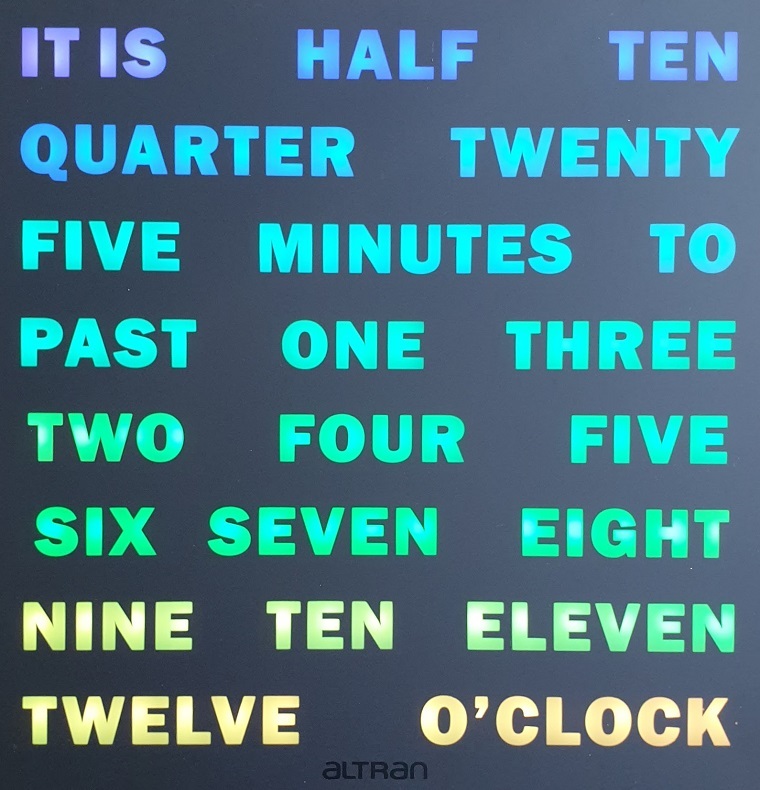 This clock shows the time in words, where separate segments are lit with sets of white LEDs. This is the shopping list, you can buy it for example at TinyTronics. That is my favorite shop for electronics stuff in Eindhoven. Please support them! Carfully remove the filter from the front. You can do that with a normal kitchen knife and a lot of patience. Put electrical tape on the place where you want to put the led strips. 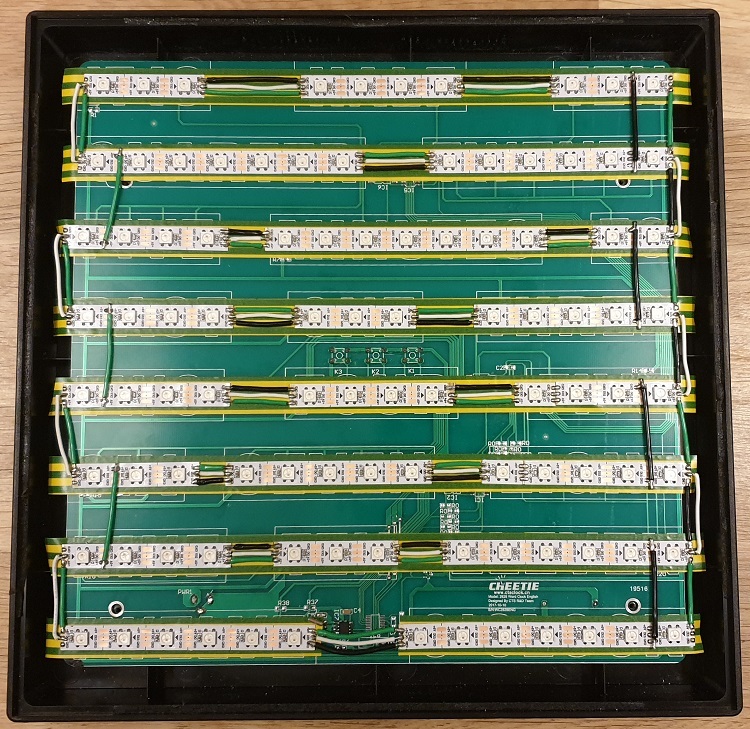 This is to prevent shortages from the LED strip to the PCB below. Stick the LED strips inside the clock: It’s 3, half 4, ten 3, quarter 7, twenty 6, five 4, minutes 7, to 2, past 4, one 3, three 5, two 4, four 4, five 4, six 3, seven 5, eight 5, nine 4, ten 3, eleven 6, twelve 6, o’clock 7. Watch out for the orientation. DIN starts at the “o’clock” segment and zig zag all the way up to the “ten” segment. DOUT should be connected to a DIN. It should form a complete chain. Connect the power of the LED strips. 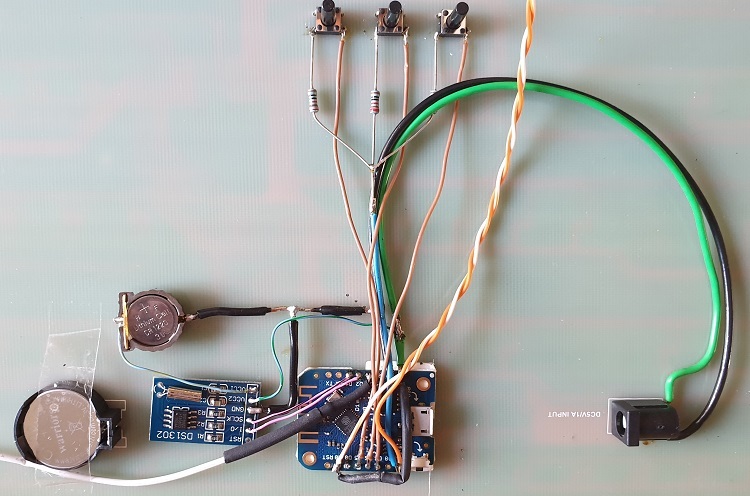 Attach the capacitor to the power of the led strip. This should provide a steady power supply. Stick the Wemos to the PCB. When you position it wisely, you can drill a hole in the back of the clock. The hole should align with the USB connector of the Wemos. Connect the wires according to the schematic. I will not reveal the details of the RTC because it is not connected yet. 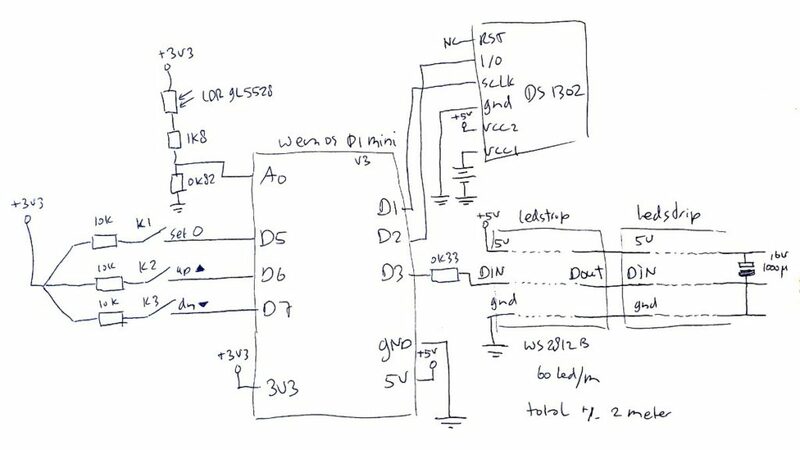 It might even be possible to re-use the RTC of the original clock PCB. And NOW power on the clock. Press the [set] button and the time will start blinking. Now set the time to the current time. Press the [set] button and you will see the Eureka screen, followed by the changing colors on the screen. When pressing [up] and [down], you can select the color used. 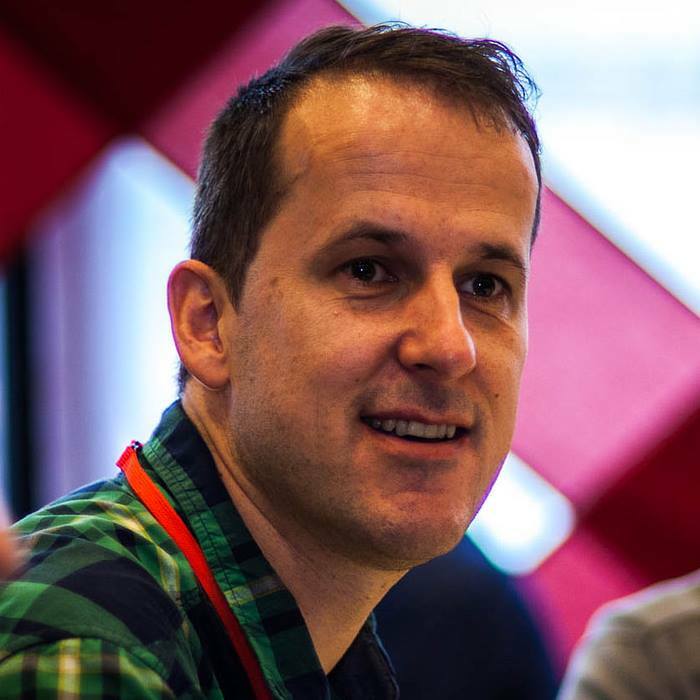 Creative Commons Naamsvermelding-NietCommercieel-GelijkDelen 4.0 Internationaal. Copyright © 2019 DIY Stuff.nl. Powered by WordPress. Theme: Spacious by ThemeGrill.